Located on the beautiful 1,000 acre Lake Dubonnet - a designated wildlife sanctuary and the perfect place to relax - is Lake 'N Pines Lodge. Whilst the lodge is ideally situated to enjoy the stunning yet peaceful surroundings, it's only 20 minutes or so to all the shopping, dining and sightseeing the area has to offer. 3 unique accommodations are available and all include a full breakfast, made to order. Your private deck provides the perfect spot on which to unwind at the end of the day, watch the sun go down and reconnect with your partner. 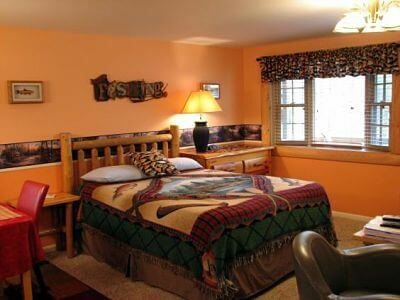 Prepare to be pampered when you babymoon at this luxurious Southwest Michigan Bed & Breakfast Inn. The innkeepers have thought of everything to make your getaway memorable including a bountiful homemade breakfast each morning, seasonal flowers and relaxing in-house massages. 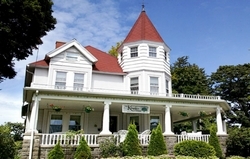 Kingsley House is located just outside the popular resort towns of Saugatuck, Holland and South Haven. Spend time enjoying the area's beautiful beaches, unique shops, fine galleries and eclectic restaurants before returning to your countryside retreat at the Kingsley House. This inviting Victorian inn is located on 5 picturesque acres only 5 minutes from beautiful Lake Michigan Marina. The inn is known for its Michigan romantic getaways. The wrap-around porch is the perfect setting to enjoy your daily home-cooked, three course breakfast. This 1800s classic mansion has been completely updated to offer modern amenities while retaining its classic charm.